Our Maryland genealogists research on location. They will find and analyze the best records available to further your family history research. They can search the archives and libraries in Maryland, as well as help you with other custom requests. With its close proximity to Washington DC, Maryland is home to genealogical archives that contain information on the entire country. The National Archives II houses documents created after 1900 at the departments of: Agriculture, Commerce, Education, Energy, Health and Human Services, Housing and Urban Development, Interior, Justice, Labor, State, and Transportation. Not only does the archive contain government documents, but it also has records with information on Maryland citizens. The Division of Vital Records in Baltimore holds federal civil court, federal bankruptcy court records, and the federal agency records from Washington D.C. It is important to keep in mind that some records in their collections are not available to the public yet, per privacy laws. For example, the federal criminal court records can only be accessed if they are at least 15 years old. The Maryland State Archives claims the title of most premier facility for locating ancestors in the state. It is the most complete collection of all of the original thirteen colonies and contains birth records that span from the late 1800s to the mid 1900s and marriage records from the 1600s to the modern day. The newspaper archives and land records span across several centuries. Previous researchers say it can take some visitors up to three days to completely look through all of the indexes. 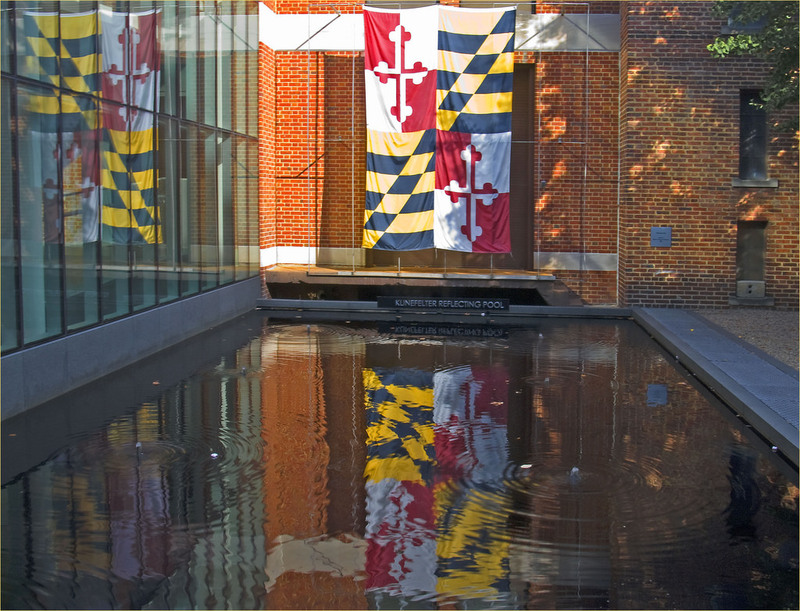 The Maryland Historical Trust Society holds the state’s main collection of Maryland’s architectural, archeological, and cultural resources. Individual parts of the collection includes the Maryland Inventory of Historic Properties, which focuses on nearly 13,600 archaeological sites (prehistoric and historic). They also contain oral histories. The Baltimore City Archives only allow those who have scheduled an appointment to view their records. It has Baltimore city directories and coroner’s requests from 1827-1867. The archive is an excellent source for birth and death records from the area. The Dorchester County Public Library focuses on the Eastern shore of Maryland and includes records from Delaware. The library is in partner with the Dorchester Historical Society and Family Life Center, which gathers and maintains all sorts of historical and genealogical documents into regular library books to offer researchers. The Enoch Pratt Free Library is connected to the Maryland Judiciary Branch and is one of the oldest free public library systems in the United States. The library collections include over 5,000 genealogical items such as historical maps, photographs, and books. The Frederick County Artz Public Library’s Maryland Room focuses on local genealogical research. The collection documents Maryland’s religious, economical, and social history. Maryland genealogists can find many resources on the history of Frederick County such as the people, places, and communities located there. The Mid-Atlantic Germanic Society holds genealogical articles based on the German community in the mid-Atlantic region (Delaware, District of Columbia, Maryland, New Jersey, North Carolina, Pennsylvania, Virginia, and West Virginia). They emphasize genealogical information from the 17th century to the 20th century. The Prince George’s County Genealogical Society’s collection contains 5,500 volumes, surname files, family group sheets, bible records and microfilms. The society focuss on Prince George County records, as well as house records from other counties in Maryland and outside the state. 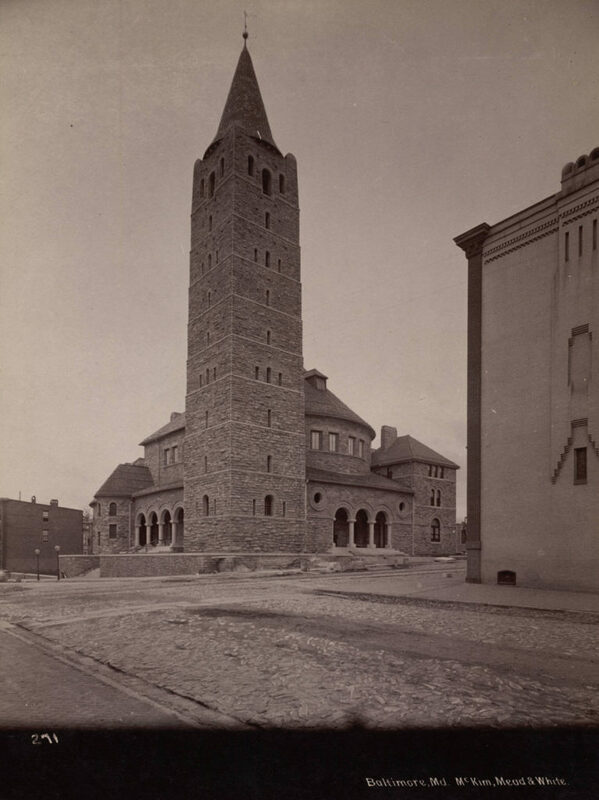 The Roman Catholic Archdiocese of Baltimore is part of the Associated Archives at St. Mary’s Seminary & University, where records from the early history of the Catholic Church in America are kept. The archives include baptismal, marriage, and death records from 1834 to 1989. The Salisbury University Nabb Research Center, or the Salisbury University Edward H. Nabb Research Center for Delmarva History and Culture, holds distinctive artifact and photograph collections that span 150 years into the past. The university contains family histories, manuscripts, diaries, maps and newspapers from the Delmarva Peninsula ((Delaware, Maryland, and Virginia). This area is referred to as the Eastern Shore. The center has government and religious records from several counties. The Talbot County Free Library’s collection was started in 1941 and now consists of over 4,500 books, 96 reels of microfilm of newspapers, 33 reels of census data, 30 reels of microfilm of church records, and 6 reels of microfilm of tax lists. Some of the significant items in their collection include the Arthur and Mary Louise Gutman Map Collection, which contains 38 rare maps, and Nelson Pusey’s 1000 photographs of Easton and Talbot County. The Lovely Lane Methodist Church holds the United Methodist Historical Society’s archives as well as their museum. There is an abundance of historical records based on the history of the United Methodist Church since the society’s creation in 1855. The library holds biographies, histories, and historic Books of Discipline. The University of Maryland McKeldin Library has quite a large collection including a special selection of information on African American genealogy pertaining specifically to Maryland history. This includes records of the Â United States Colored Troops from the Civil War that volunteered in Maryland. The Washington County Free Library was established in 1968 to preserve the history of the region. The John Clinton Frye Western Maryland Room holds over 10,000 books and over 40 cubic feet of archive material that includes maps, newspapers, photographs, ledgers, and manuscripts. The collection also contains artifacts from the Cumberland and Shenandoah Valleys, which includes all of Western Maryland- and part of Central Maryland. Genealogies, family folders, pedigree charts, and bible records. Church records and cemetery records. The Historical Society of Baltimore County was established in 1959. Their archive contains a vertical file collection, which consists of 1,900 vertical files. These files include documents about events, locations, and clubs and groups related to Baltimore County. The society’s library also contains over 9,000 genealogy surname files. The library holds a collection of maps, photographs, manuscript collections, and tombstone inscription files. The Westminster Branch of the Carroll County Public Library holds the collections of the Carroll County Genealogy Society. The collections include 1,100 catalogued books, and genealogical periodicals, newsletters, and transcriptions from Carroll County cemeteries. Family envelopes containing information not found in books are held at the library. The collections also include mortality schedules from 1850 to 1880, and naturalization records. Lists of qualified voters, physicians and insolvency cases in Carroll County are held here as well. Back issues of the society’s newsletter, The Carroltonian, can be accessed at the library. The archives of the Historical Society of Cecil County provide the most comprehensive source of history for Cecil County. These collections are housed in the Eva M. Muse Library. The resources here include books, manuscripts, and maps. They hold 14,000 issues of newspapers dating back to 1827. Obituaries, pamphlets and vertical files have been preserved in the library. The society’s collections also include 50,000 images, along with slides, prints, glass plates, negatives, and daguerreotypes. Wills, land records, and business records are additionally housed in the library. The Historical Society of Harford County’s archive is the most comprehensive source for Harford County history. The archives contain more than 250,000 original source items that date back to the 1600s. Among their collections are court records, family histories, and county photographs. Oklahoma genealogists can also find letters, diaries, and scrapbooks in their archives. Maps, postcards, playbills, and newspapers are also contained here. The Upper Eastern Shore Genealogy Society (USGS) covers Carolina, Dorchester, Kent, Queen Anne’s, and Talbot Counties on the eastern shore of Maryland. The society’s research center is home to family histories, family bible records, and books. They also have records of Pennsylvania, Virginia, and Delaware. Our Maryland genealogists specialize in researching several types of documentation and are not limited to the list above. For more information or specific inquiries about our genealogists, please feel free to contact us.